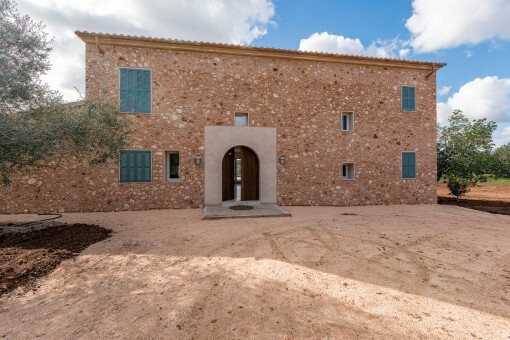 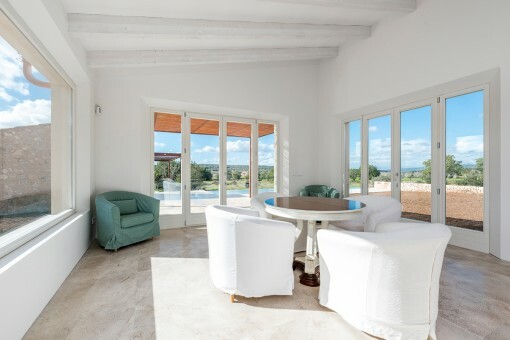 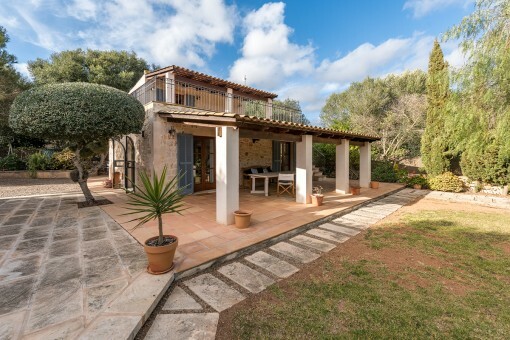 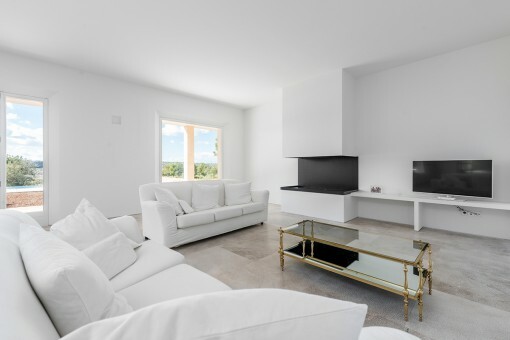 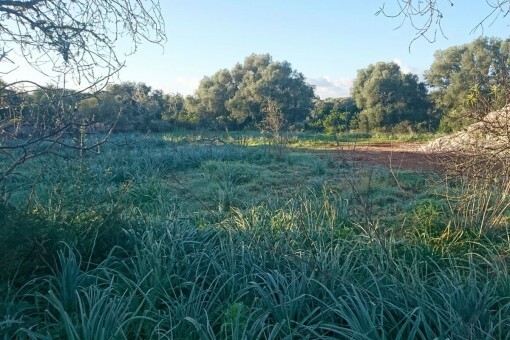 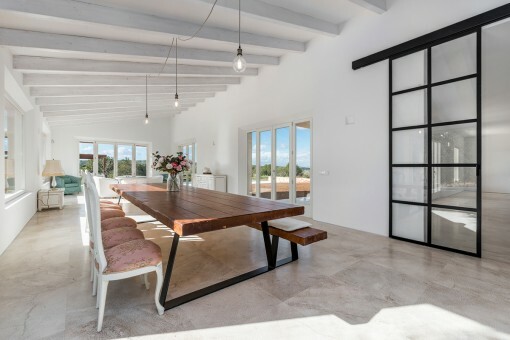 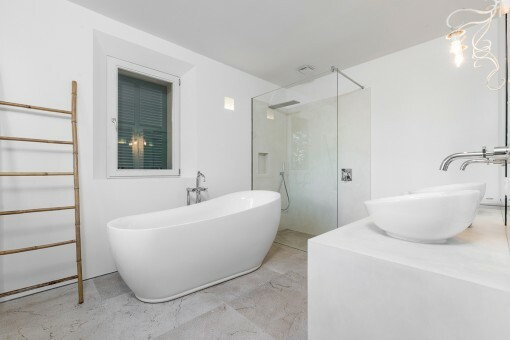 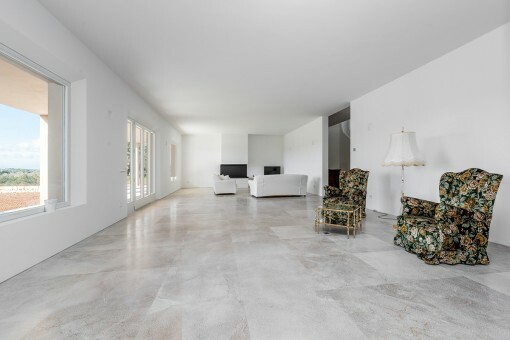 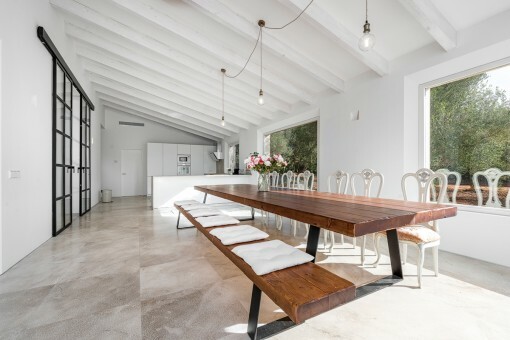 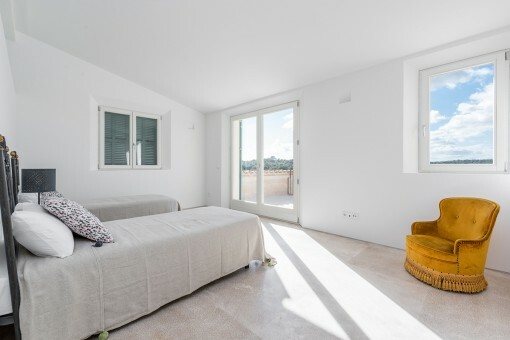 This beautiful finca, partially clad with natural stone, was completed in 2019 and sits in the countryside close to picturesque Santanyi, and is just a short drive to several beautiful beaches on the southeast coast of Mallorca. 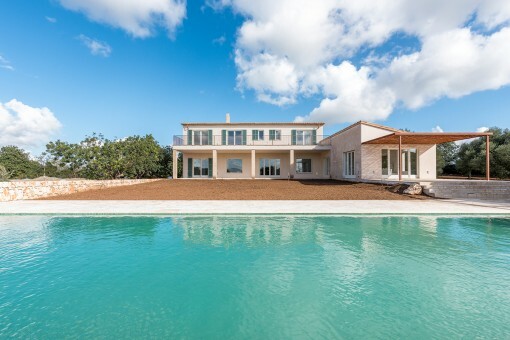 This exceptional house stands on a plot of land of 15,000 sqm and has 2 floors spread over approx. 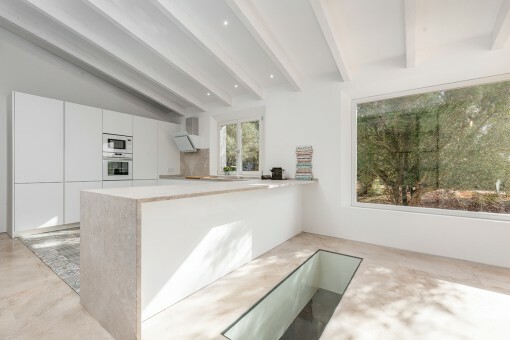 460 sqm of living space. 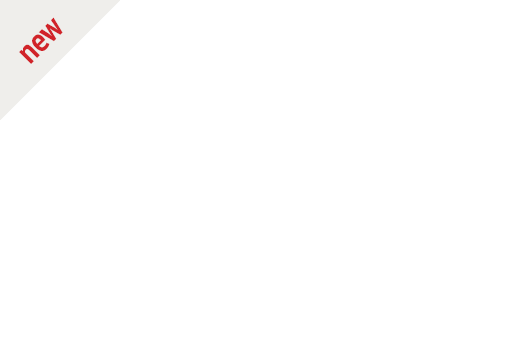 Its fittings and equipment are of only the highest quality. 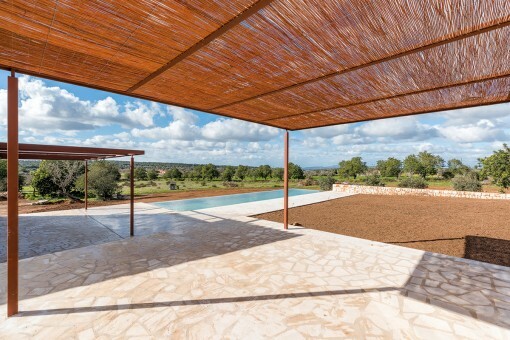 It is connected to mains electricity and water is provided from its own well. 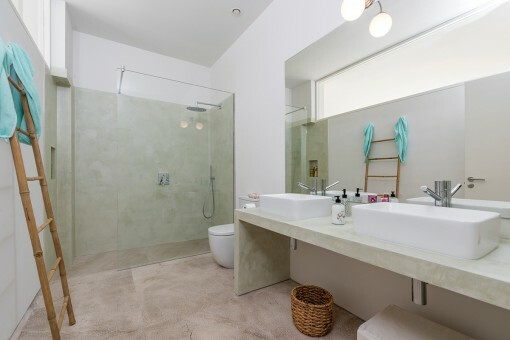 Distributed over the ground floor is a spacious entrance area leading to the light-flooded living/dining area adjacent to which is the fully equipped kitchen, also with dining area, a utility room, a bedroom with bathroom en suite and dressing room, a further bedroom with WC and a guest WC. 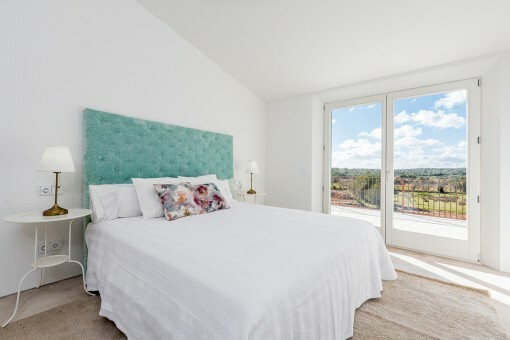 The upper floor houses 3 further bedrooms all with en-suite bathrooms and all with access to a terrace which offers wonderful views over the surrounding countryside. 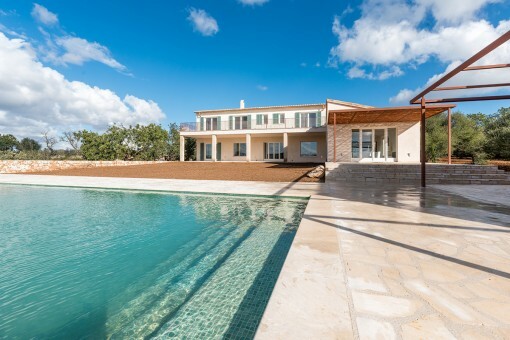 In the exterior area is a landscaped garden with swimming pool, open and covered terraces, and outstanding panoramic views, creating the perfect setting to enjoy a relaxed Mediterranean lifestyle. 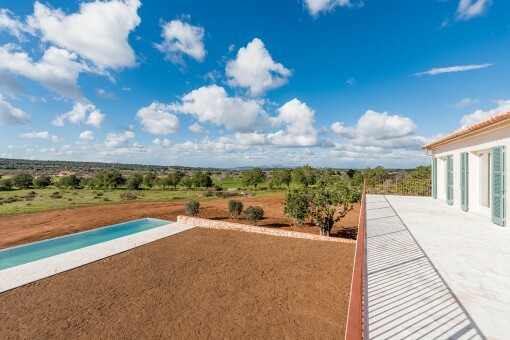 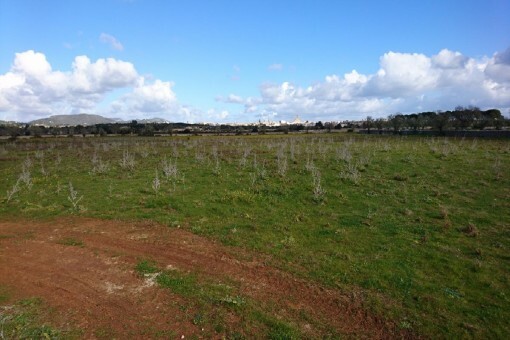 I'm interested in: Stylish finca under construction with pool and panoramic views in Santanyi (Objekt-Nr.112525). 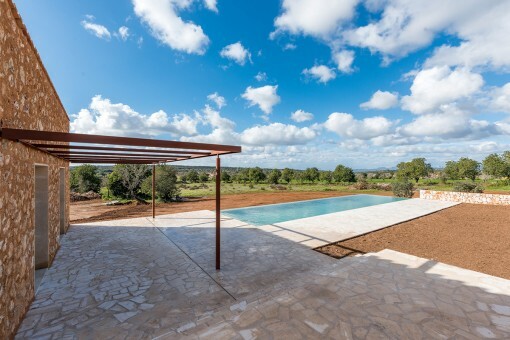 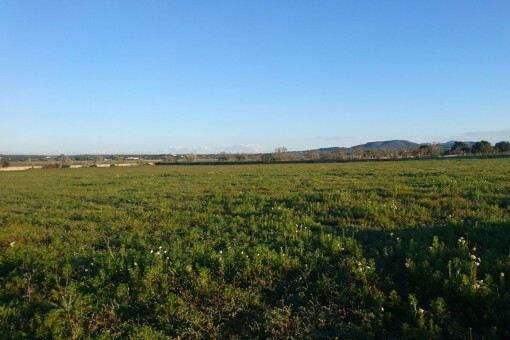 you are reading: Stylish finca under construction with pool and panoramic views in Santanyi-purchase · Porta Mallorquina Real Estate Rating 4,8/5 by 200 testimonials.